Boots is the ‘nation’s chemist’ with products, advice and services that enhance personal wellbeing. 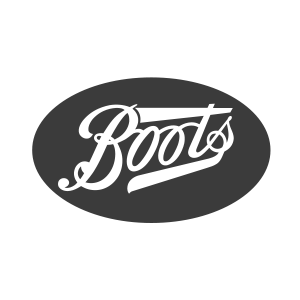 Boots are proud of their long and successful business history, trading in the 19th, 20th and now 21st centuries. Boots services include prescriptions, hearing aids and photographic. Choose from a vast range of cosmetics, skincare, fragrances, grooming, suncare, lunchtime foods, hosiery, baby & child, dental and bath products.